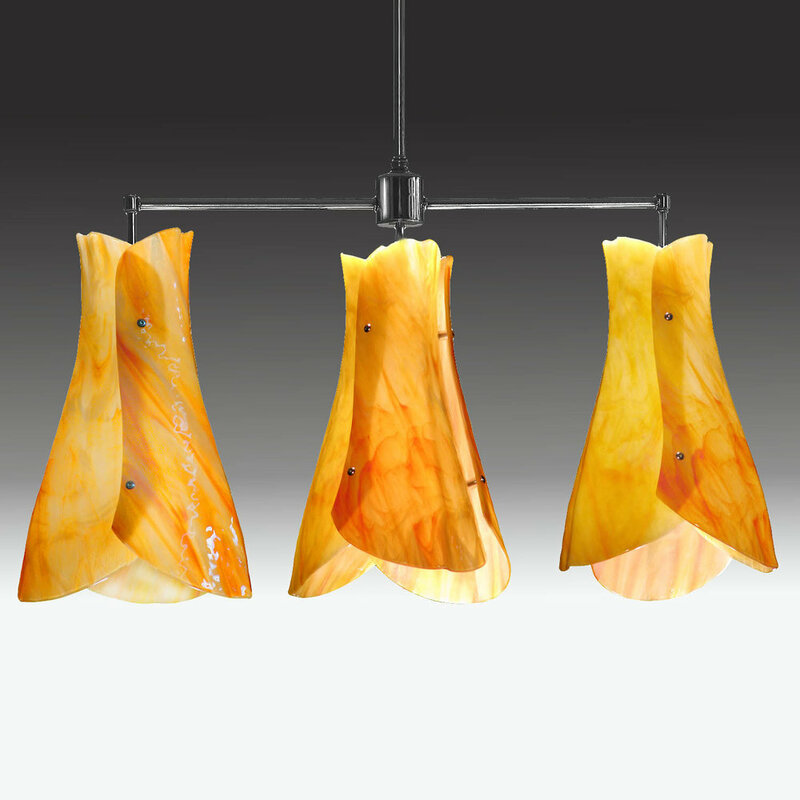 This Tyr chandelier shown here with three Sushi pendants mounted on a chrome armature makes a stunning presentation. Of course you may specify any of the nearly 40 styles of American art glass that we offer. 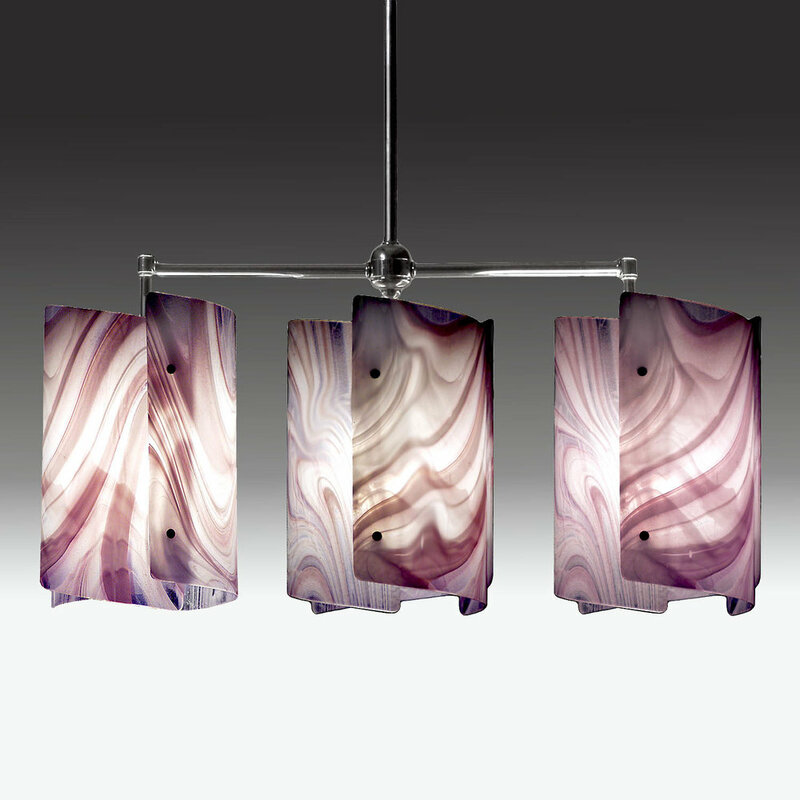 Also, this chandelier is available using mini-Sushi, Vortex, Django , Marrakesh or any of our other pendants as well. The weight, less drop tube, is about 15 lbs. Lamping: Max 3-100 watt incandescent, halogen or compact fluorescent bulbs max. Choose any three of our pendant styles The glass elements are available in our very large collection of American art glass. Comes with 3 feet of ½" tubing drop tube in chrome, satin chrome, satin brass or dark oiled bronze with matching canopy and articulated hang straight. Custom colors available. Drop tube lengths greater than 3 feet are $10 per additional foot.